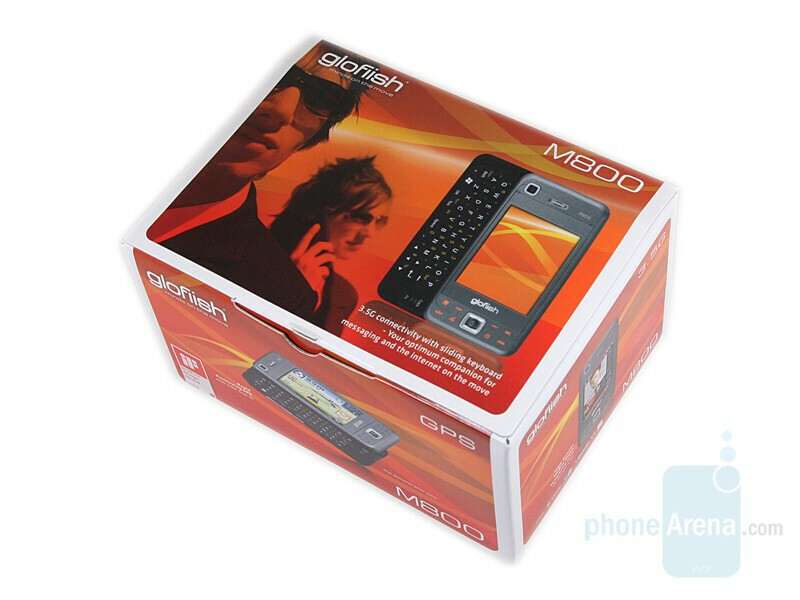 Eten Glofiish M800 is the most advanced model of the manufacturer. 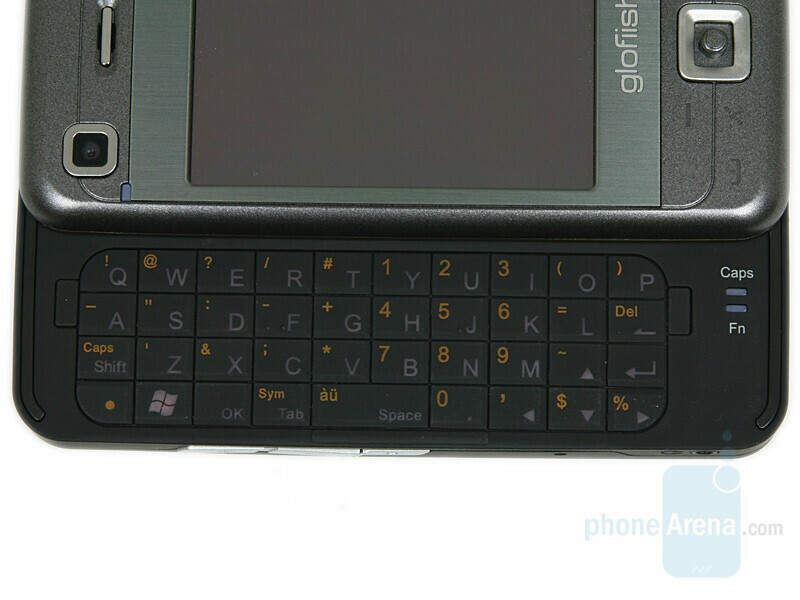 It is X800’s ‘big brother’, upgrading it with a side-sliding QWERTY keyboard, just as the M700 and X500. Combine this with excellent specifications, and there is nothing left to be desired – the M800 sounds as if a dream came true. The look of the M800 reminds us of the rest of the Etens – it isn’t ugly, but you wouldn’t call it pretty either. It is definitely a professionally looking device and unlike the HTC TyTN II won’t appeal to other audiences, besides the business class. 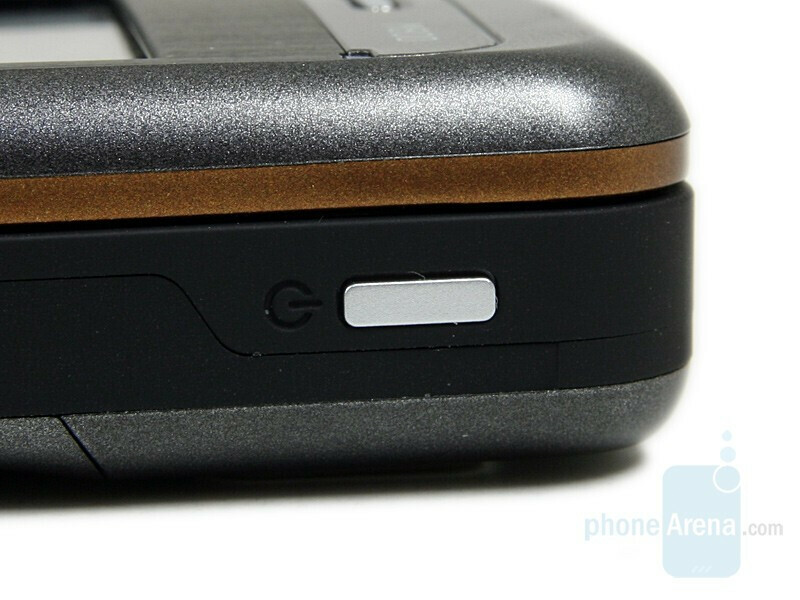 The only element that stands out of the design language is the back of the upper slider; a bronze colored line encircles the phone, giving us a hint, what to expect. Slide it open and the back has the same extravagant color, and so do the alternative characters of the keyboard. It doesn’t really make sense, but we like it, and also think it will be cool to see the feature in some upcoming phones with consumer-targeted design, such as the M810 or V900. You can compare the Eten M800 to many other phones, using PhoneArena's Visual Size Compare tool. The whole front side reminds of the idea of the phone – it is made for work and not for fun. The titanium-colored plastic nicely combines with the brushed aluminum frame around the display. The latter is situated in the middle of the phone, which leaves little space for the buttons below. In addition, they are capacitive touch sensitive keys (respond to touch of finger but not a stylus) and are not really perfectly responsive so using them may be a problem. An option allows you to add vibration (haptic) and/or sound, to indicate once a key is ‘activated’. Additional problems add the fact that after a few seconds of inactivity, the keys ‘lock’ and one must press the display or the joystick, to ‘unlock’ them. The navigation joystick in the middle, is usable, but is a pain when compared to a good D-pad. 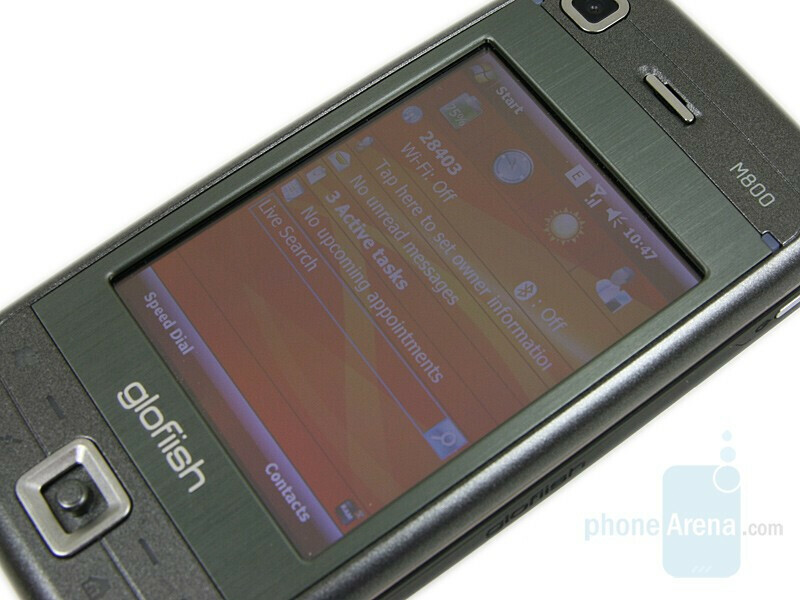 The display is a 2.8” with 65k colors (standard for such phone) and VGA resolution of 480x640 pixels. This is 4x the standard QVGA resolution and results in times better image, with enhanced details. 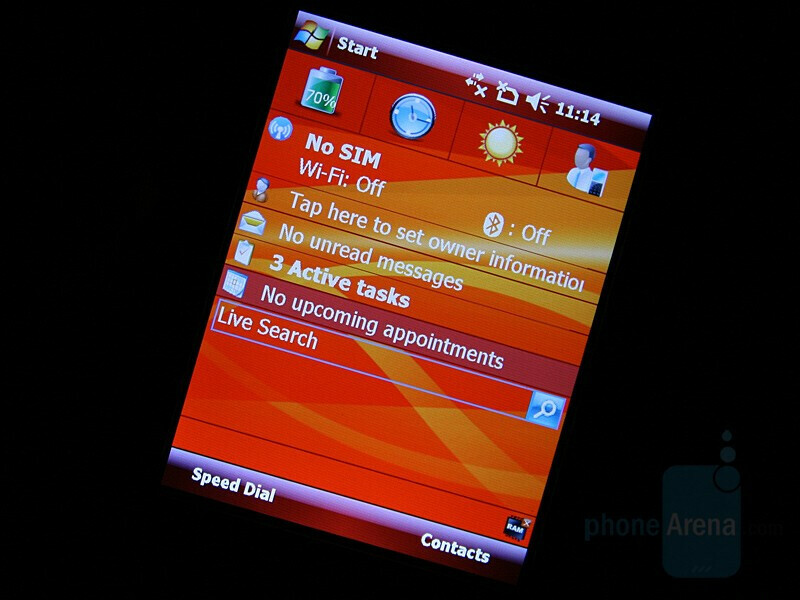 Even the Windows Mobile user interface itself is more defined. The UI on a QVGA compared to a VGA one is the same as Windows XP compared to Vista. The additional resolution helps for more detailed icons and images as a whole. 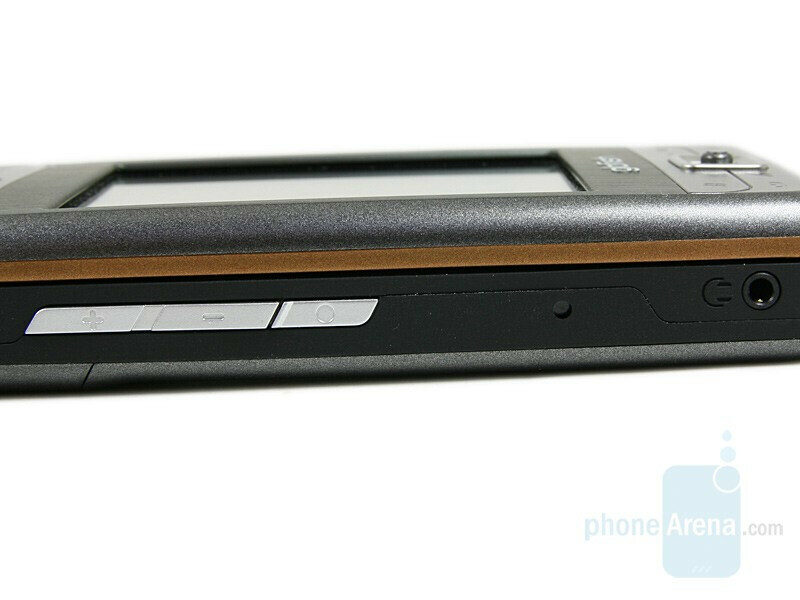 Unfortunately, it is of no use when it comes to visibility outdoors: as most other Pocket PC phones, the M800 has a serious problem in such environments and even when set at maximum brightness, the screen may be hard to read. Another drawback is that the display is concaved and it is hard to press object in its end (such as the X icon or the scroll bar) without the help of a stylus. The latter is situated in the bottom right corner of the phone. Typically, it is telescopic and retracts when you take it out. 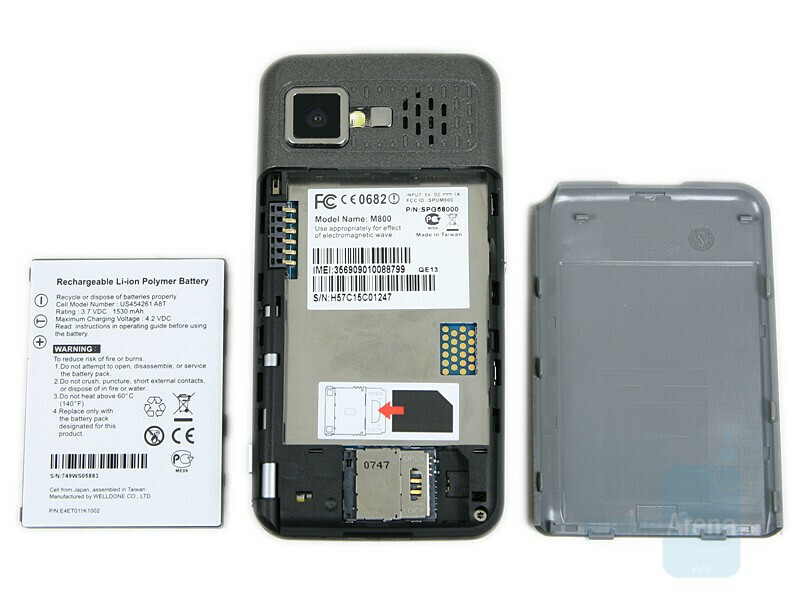 Next to it, on the bottom, are the miniUSB and the microSD slot with a hard to remove plastic cover. On the left are the volume rocker and the voice commands key. They have below-the-average relief and are rather hard to press. Here also are the reset button and the 2.5 mm headset jack. On the right are the power key and the protruding camera shortcut. The first one is absolutely flat, small and you have to press it with the tip of a finger. If you hold the phone with one hand , the slider may do a slight movement when pressing the power, as you exert pressure on the bottom slider in the direction it moves. Once you really want to open the slider, this happens trouble-free and with no effort at all. The movement is fluid and the spring mechanism is strong. You can release the keyboard with a single finger, no matter which part of the upper slider (left, center or right) is pushed. The whole surface here has rubber finish applied to it, for more comfortable typing after long usage (wet hands). The buttons press very well, with real movement and significant click, which is excellent tactile feedback. Its only drawback is the greenish backlit, which is usable but looks weird. On the back is nothing but the camera and the battery cover of course. 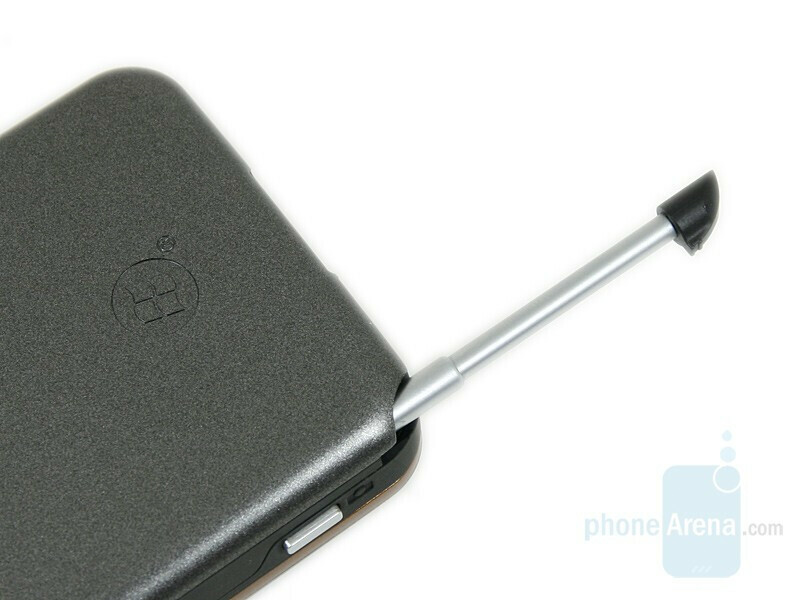 Strangely, the phone shuts off automatically once the cover is removed (which is an unpleasant job) although the battery is not attached to it. This is probably an additional security. Not user-friendly in the phone aspect. 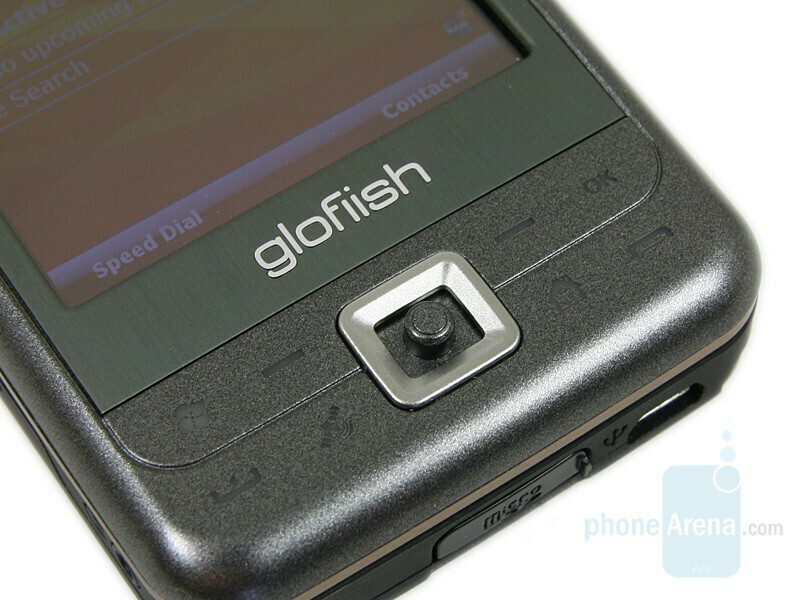 I missed many calls from friends because their calls cannot be answered easily by pressing a touch sensitive button. The touch sensitive button is not user-friendly. Usually I answer a call by pressing the 'Answer' icon on the bottom left of touch screen, and even that is not a surefire thing to be connected, the line always falls off. Bad phone, bad phone,don't buy,don't buy.. I advice anyone to test the device, Its absolutly fabulous if you get rid of the build-in Eten ROM and use a cooked one without any EXROM programs. 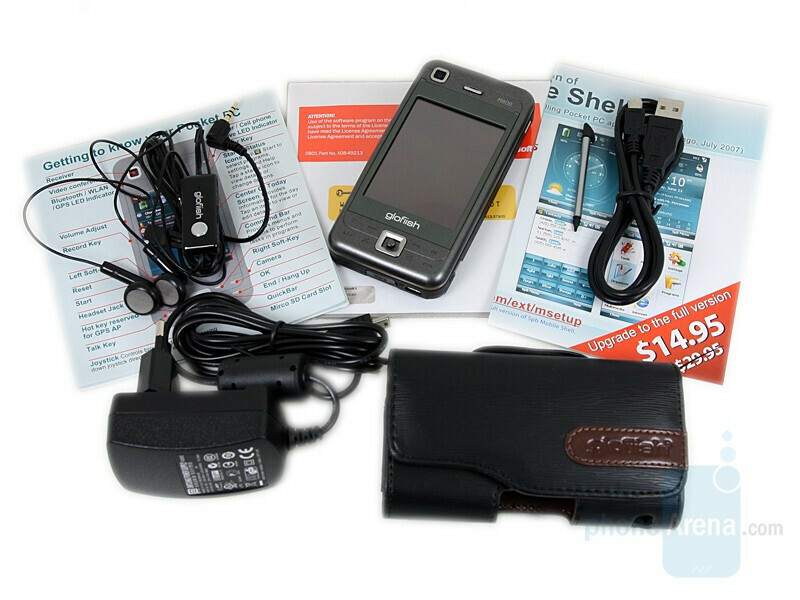 Get a WM6.1 and buy SPB Mobile Shell & Pocket Plus. There you go. Works perfectly and fast. 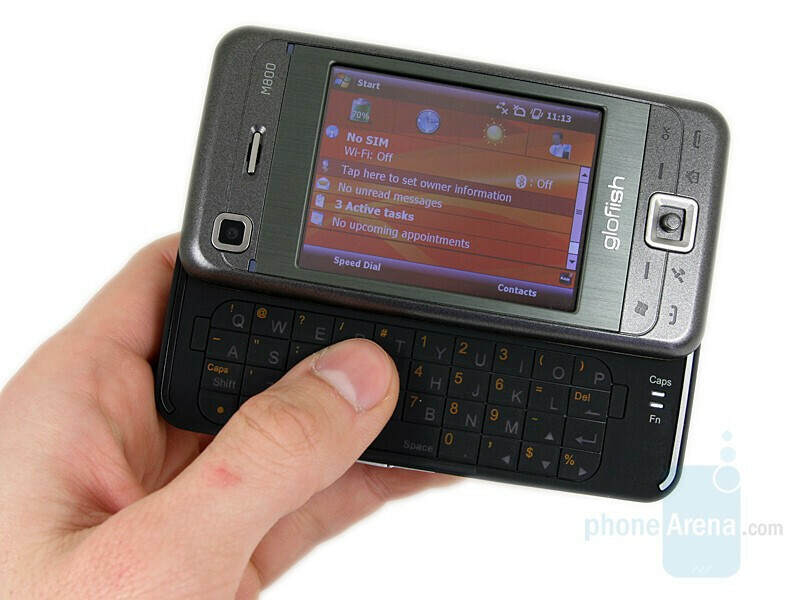 By the way: If you dont have the time to get used to this phone - dont get a smartphone at all. Because it will never be a perfect fit for you guys. Its like a Computer with nothing on it except Windows. Its not user-friendly at all. You HAVE to customize it for YOUR purpose. @omarkdzr: Never had any phone-related problems. But I advice you to get S2U2, Its a nicely programmed shareware app that gives you the ability to answer or dismiss a call by sliding on your phone sideways. That's well known that money can make people disembarrass. But what to do if one does not have money? The only one way is to get the home loans or just financial loan.